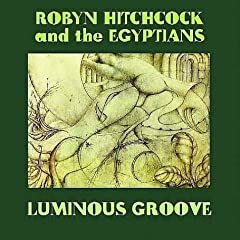 Luminous Groove is a 5-disc box set that collects remastered editions of Robyn Hitchcock's Fegmania!, Gotta Let This Hen Out!, and Element of Light albums (all with bonus tracks) along with a disc of previously unreleased studio material and one of unreleased live tracks. Juliana Hatfield's memoir, When I Grow Up, may be out next month, but her latest album, How To Walk Away, is out tomorrow. The Fiery Furnaces release their double live album, Fiery Furnaces: Remember, tomorrow as well. The music releases this week may be short on star power, but they are incredibly deep. Other releases I have heard and can strongly recommend include the Dandy Warhols' Earth To The Dandy Warhols, Jaguar Love's Take Me To The Sea, Jennifer O'Connor's Here With Me, Lykke Li's Youth Novels, Music Tapes' Music Tapes for Clouds & Tornadoes, Ra Ra Riot's The Rhumb Line, Stereolab's Chemical Chords, Todd Snider's Peace Queer, and Uh Huh Her's Common Reaction. Aside from the Robyn Hitchcock reissues and box set, other reissues worth noting include a vinyl reissue of PJ Harvey's Rid of Me and a remastered edition of the Dears' No Cities Left.